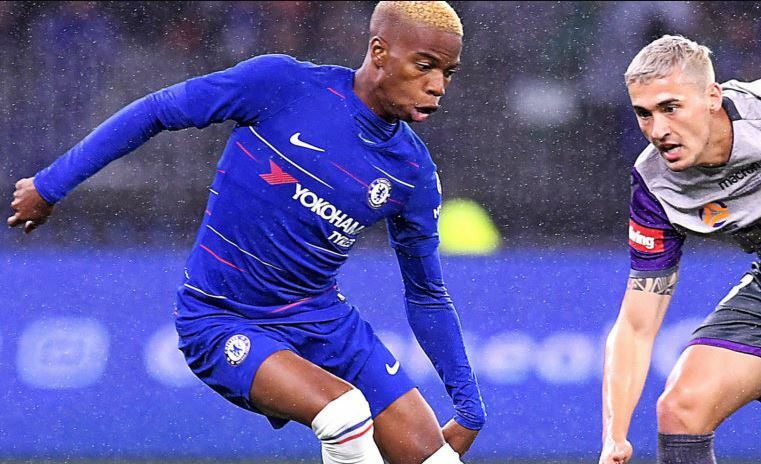 Chelsea youngster Charly Musonda has returned to the club’s training base in Cobham to facilitate his recovery after picking up an injury that rules him out of action for one month according to reports. The promising winger’s career has taken a blip since 2017 when his public outbursts to get more minutes led to Chelsea sending him out on loan to Celtic in the Scottish League. He returned to Chelsea this summer and was quickly sent out on loan again, this time to Vitesse Arnhem in the Netherlands to continue progressing. However, that progress will have to be halted for a little while after an initial prognosis of the injury he picked up in Vitesse’s behind closed doors friendly against Antwerp according to a report by De Gelderlander. Musonda’s injury is still unknown with some reports indicating it was a shin injury and would need almost a month to recover before joining up with his teammates in the Dutch League again.